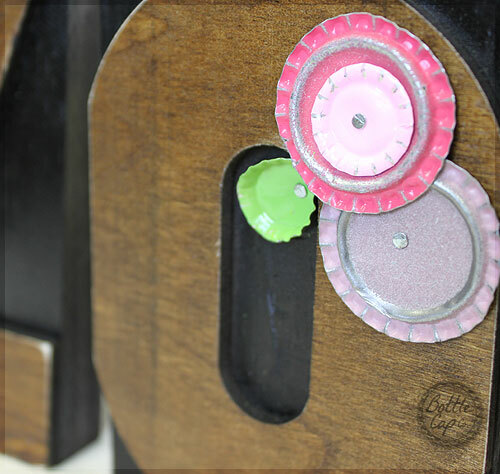 Bottle Caps - Choose Your Color(s), I used distressed and mini bottle caps. Small Nails - You could use glue if you prefer. Smash them as much or as little as you like. Have fun!! 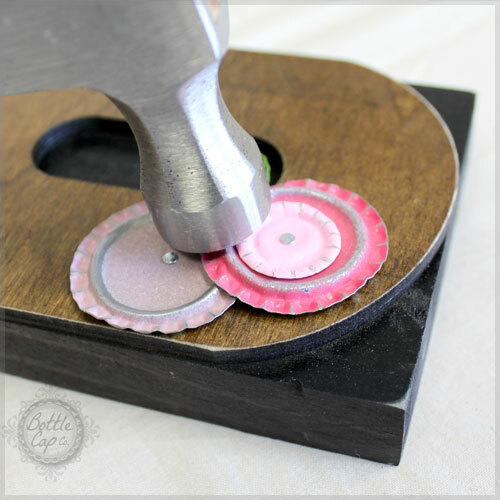 For the mini cap on the top right I used the claw edge of the hammer to just slightly turn the edge out. 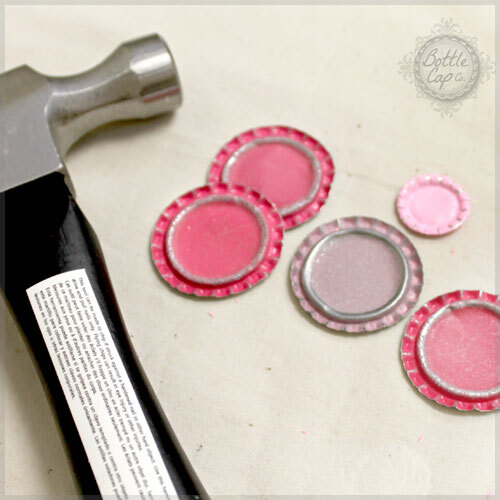 More hammering! Attach the caps to the block. 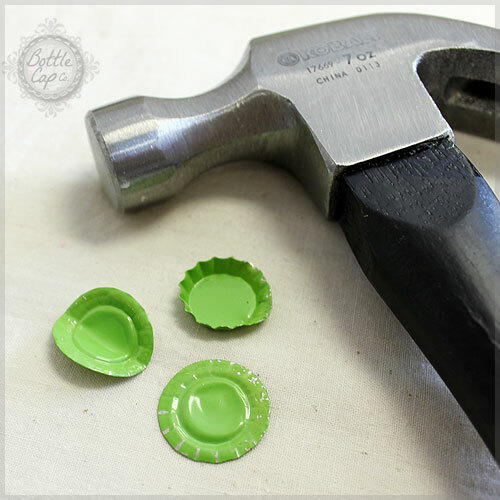 After you've attached the caps use your hammer to shape and flatten the caps however you think looks best. 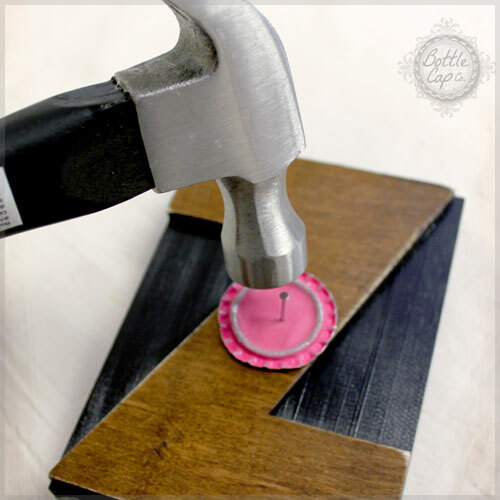 In this picture the top bottle cap was sticking up a little so I tapped on the edge to lay it down. Use the hammer's claw to shape your mini cap leaves. Close ups so you can see the details. 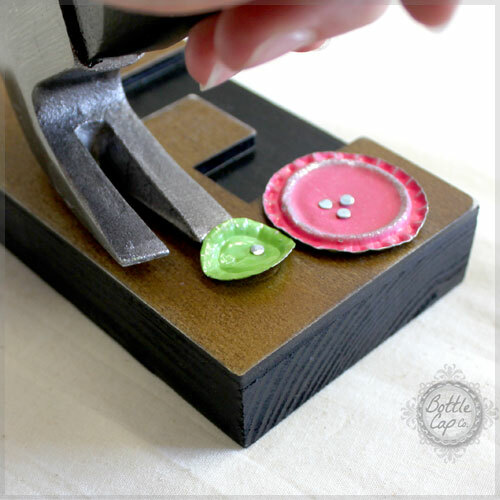 Layer mini caps over standard caps for a sweet flower center. Three nails instead of one in the center of the cap makes a great flower center as well. 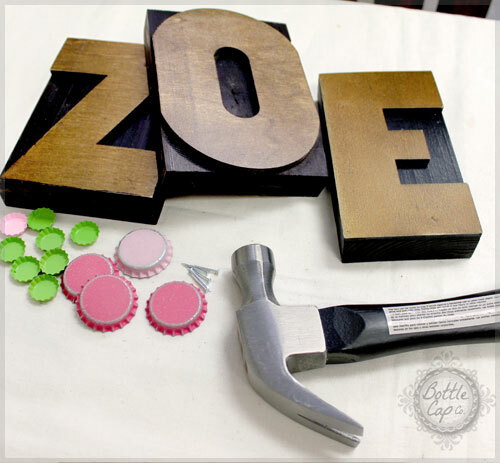 It's easy to create lots of different looks from shabby chic to industrial with 5" Letter Press Blocks. 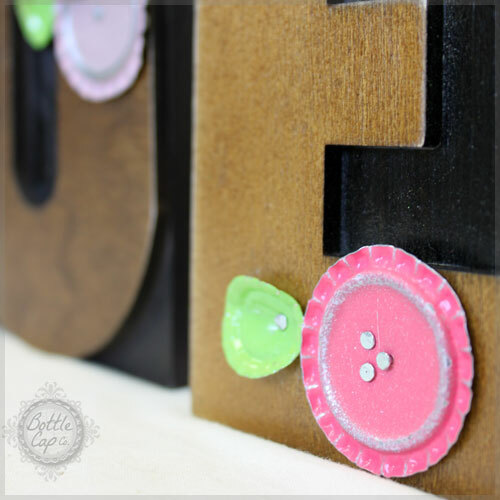 Find a brightly colored frame and mount the letters inside or prop them on your daughters desk, dresser or book shelves. 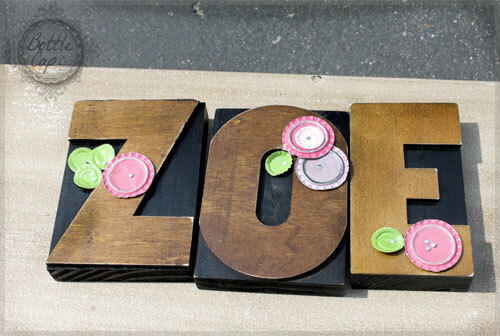 The finished product will look great in your daughter's bedroom. You could also do a boy version just by choosing "boy" colors for your project. Smashed vintage bottle caps are a good choice for boys too. 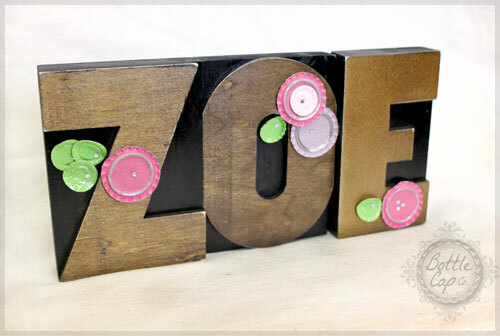 Also, and I was kind of wishing I would've done this, you could white wash the letters before adding the embellishments and it would add a very creative shabby chic twist to your project.